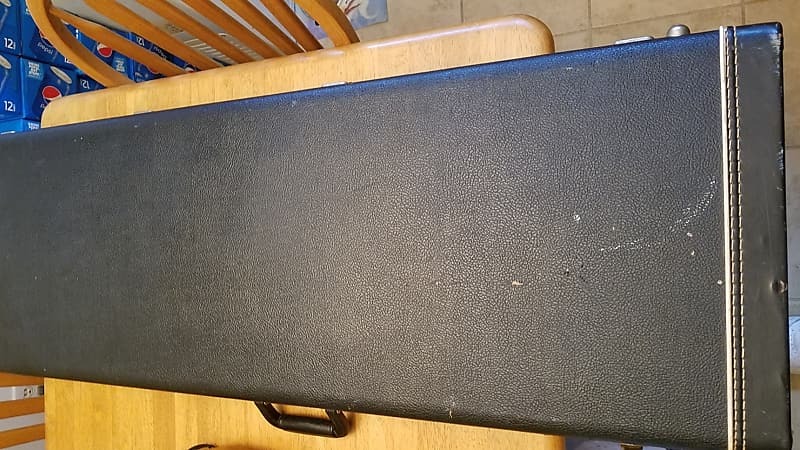 I will start this off by saying I am no player.This belonged to my brother,and I try my best to be as accurate as possible.If you have any questions,or need more pics,please feel free to ask. 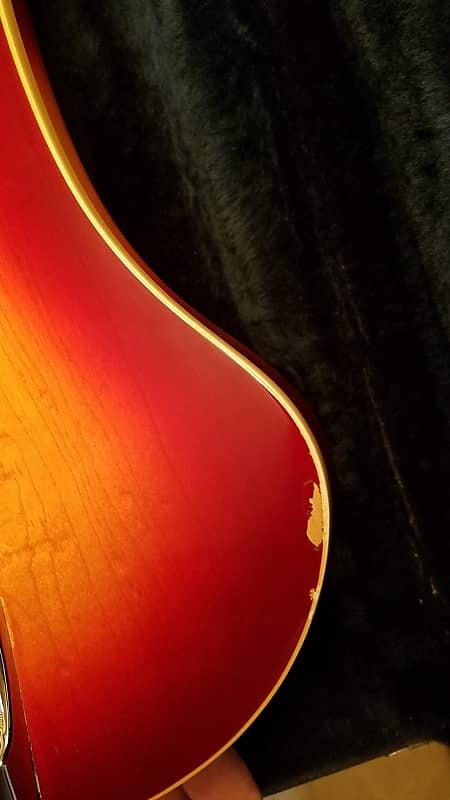 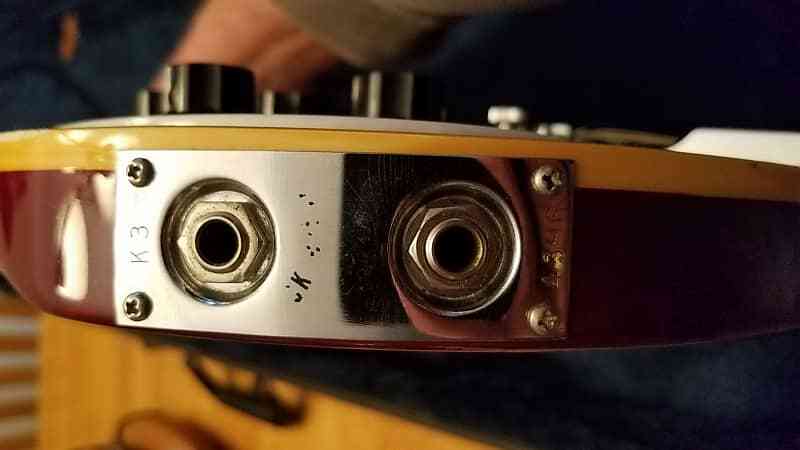 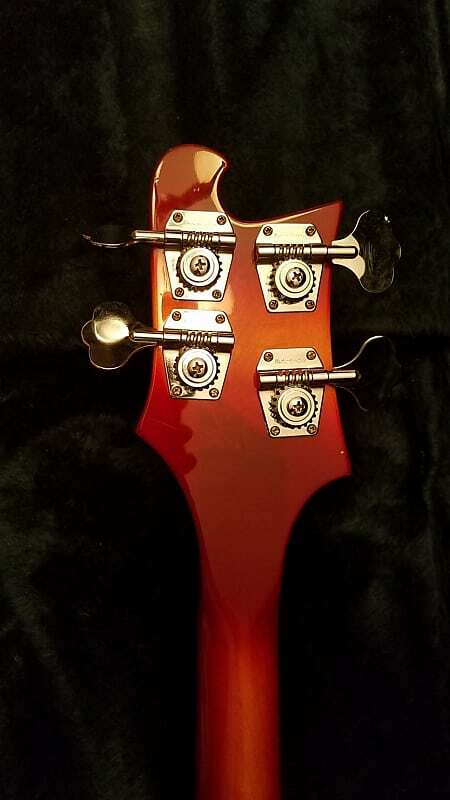 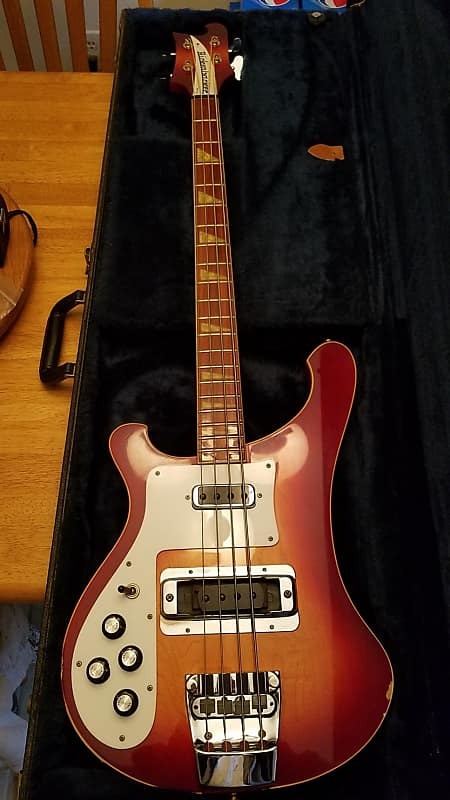 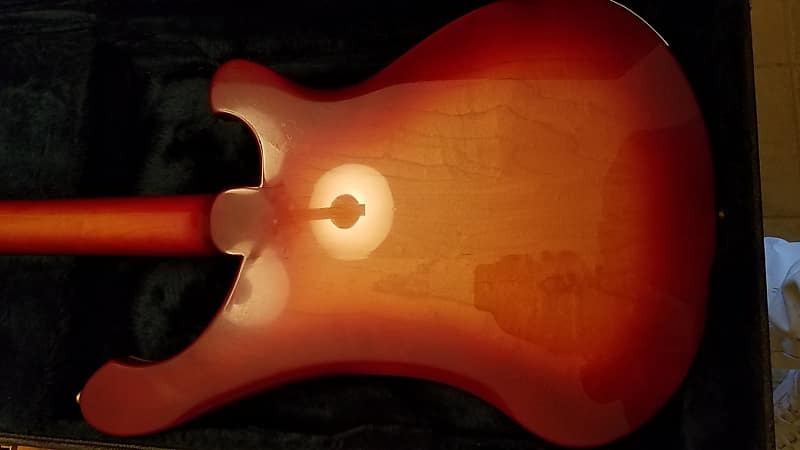 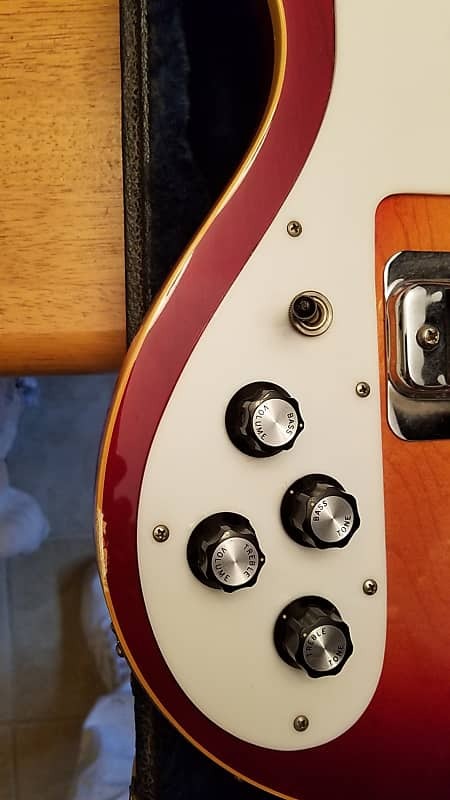 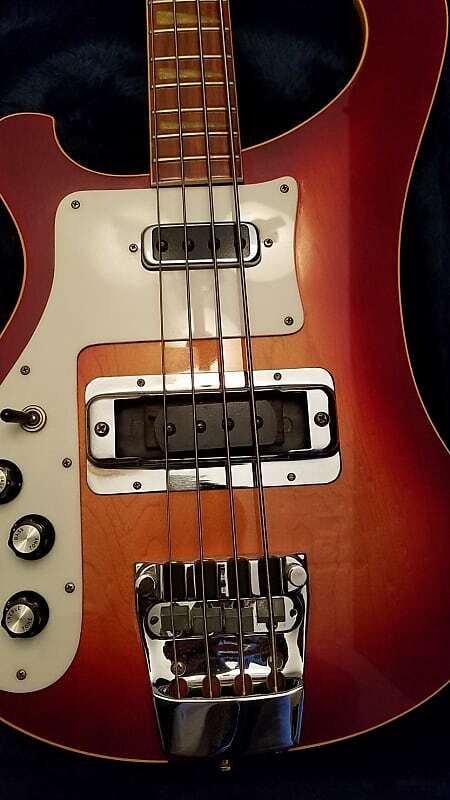 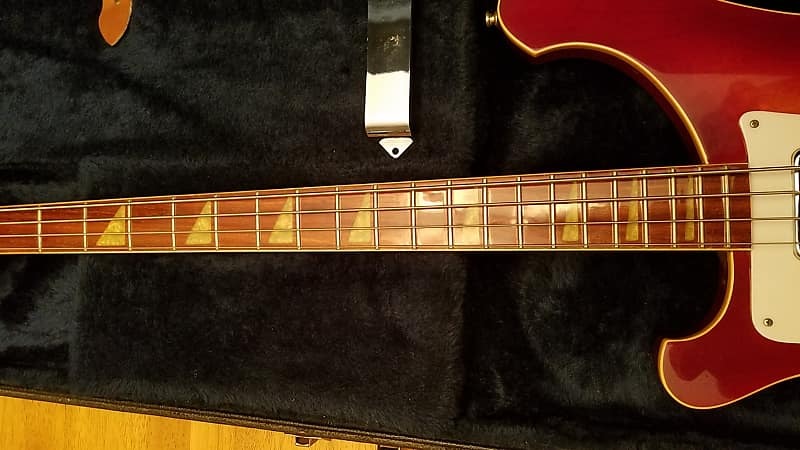 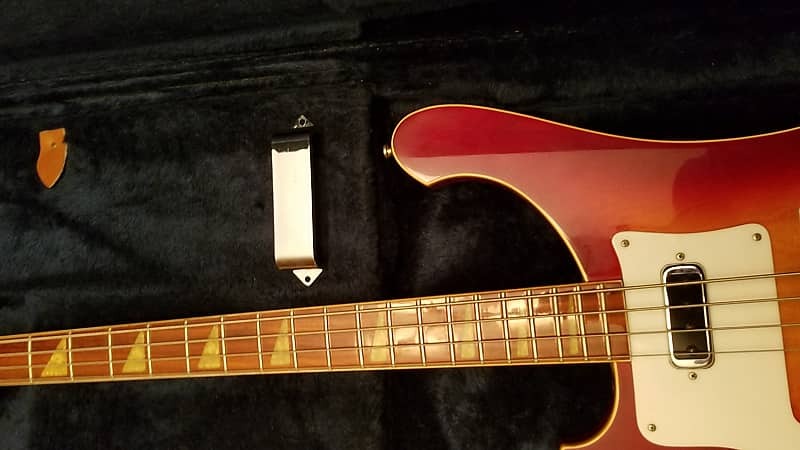 This is a November 1990 made Rickenbacker 4003 left hand bass.I have taken this to Guitar Works here in Richmond Va.The electronics were checked and cleaned.Everthing was looked over and no issues found.I did not have it restrung,as I felt it best for the new owner to choose.I see no issues with the finish,with the exception of those 2 areas I have shown in the photos.It comes from a smokers enviroment,and will include a hard case.One latch on the case does not open properly,but functions. 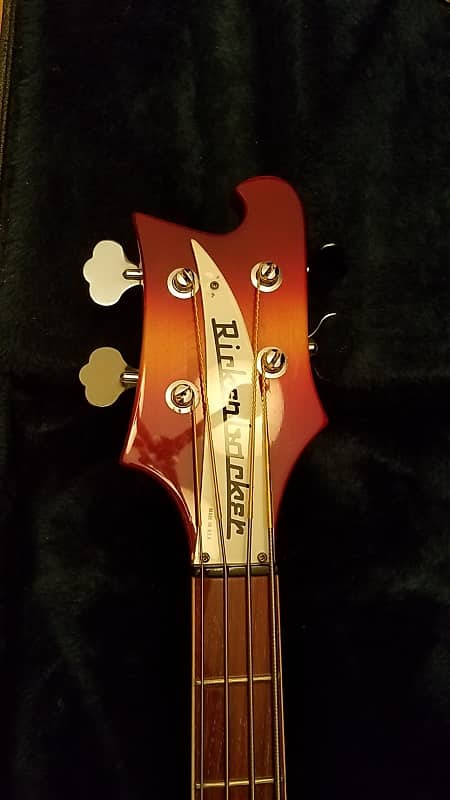 After my last feedback,I felt it best to do my best to represent this they very best I know how.I want to get this into a players hands,where my brother would have wanted it.